Hitting a baseball is difficult, let alone sending it over the wall for a home run. But what about hitting eight home runs in a game by a single team? Did that ever happen in the CPBL? 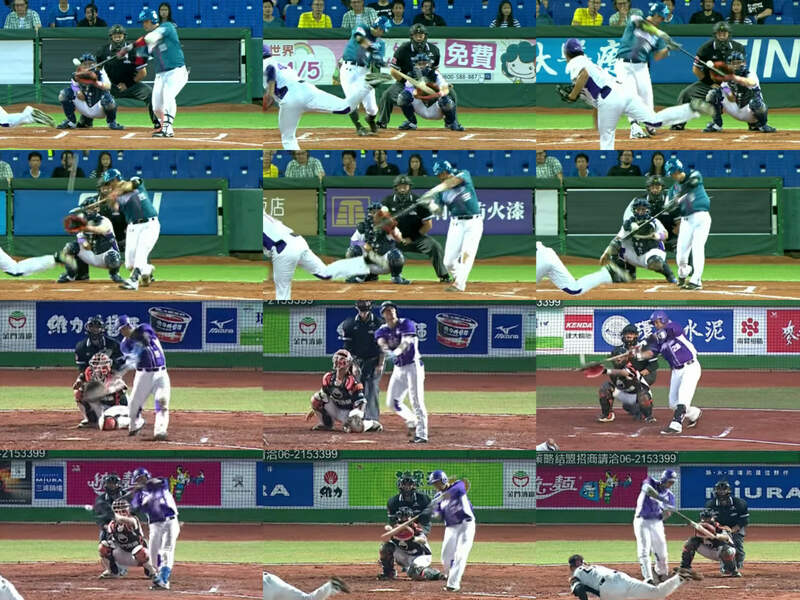 Inspired by today’s eight home runs game by the Los Angeles Dodgers in the MLB, we will take a trip down the memory lane and revisit the games where CPBL teams have hit eight home runs in one game. Since 1990, over 30 CPBL seasons, only three teams have achieved that milestone. They are the Chinatrust Whales, Lamigo Monkeys and the EDA Rhinos. It is worth noting, this is also the CPBL record for most home runs hit by a single team in a single game. 高國輝 (Kao Kuo-Hui) against Bruce Billings. 林益全 (Lin Yi-Chuan) against Bruce Billings. 陳凱倫 (Chen Kai-Lun) against Bruce Billings. 林威廷 (Lin Wei-Ting) against 林其緯 (Lin Chi-Wei). 胡金龍 (Hu Chin-Lung) against 林其緯 (Lin Chi-Wei). 林哲瑄 (Lin Che-Hsuan) against 江辰晏 (Chiang Chen-Yen). 胡金龍 (Hu Chin-Lung) against 王玉譜 (Wang Yu-Pu). 林泓育 (Lin Hung-Yu) against 范玉禹 (Fan Yu-Yu). 詹智堯 (Chan Chih-Yao) against 范玉禹 (Fan Yu-Yu). 朱育賢 (Chu Yu-Hsien) against 林晨樺 (Lin Chen-Hua). 陳俊秀 (Chen Chun-Hsiu) against 林晨樺 (Lin Chen-Hua). 陳金鋒 (Chen Chin-Feng) against 林晨樺 (Lin Chen-Hua). 林泓育 (Lin Hung-Yu) against 陳煥揚 (Chen Huan-Yang). 陳金鋒 (Chen Chin-Feng) against 陳煥揚 (Chen Huan-Yang). 林承飛 (Lin Cheng-Fei) against 陳煥揚 (Chen Huan-Yang). 陳文賓 (Chen Wen-Bin) against 郭勇志 (Kuo Yung-Chih). 王宸浩 (Wang Chen-Hao) against 郭勇志 (Kuo Yung-Chih). 鄭昌明 (Cheng Chang-Ming) against 郭勇志 (Kuo Yung-Chih). 洪啟峰 (Hung Chi-Feng) against 郭勇志 (Kuo Yung-Chih). 黃貴裕 (Huang Gui-Yu) against 賴有亮 (Lai You-Liang). 鄭昌明 (Cheng Chang-Ming) against Wilson Heredia. 王宸浩 (Wang Chen-Hao) against 郭耀文 (Kuo Yao-Wen). 鄭昌明 (Cheng Chang-Ming) against 郭耀文 (Kuo Yao-Wen). Unfortunately, we couldn’t find any video for this, will update this blog post if we come across it at a later stage.